Could Facebook’s Chief Operating Officer Sheryl Sandberg’s next move involve her writing her first book? According to the Hollywood Reporter, it’s already happened and will be published starting next year by Alfred A. Knopf. Titled Lean In: Women, Work, and the Will to Lead, Sandberg’s book won’t be an autobiography about her life, but instead will focus on her career as a leader and also serve as a motivational book to encourage women to mirror her career and become leaders in their companies and even in their respective industries. 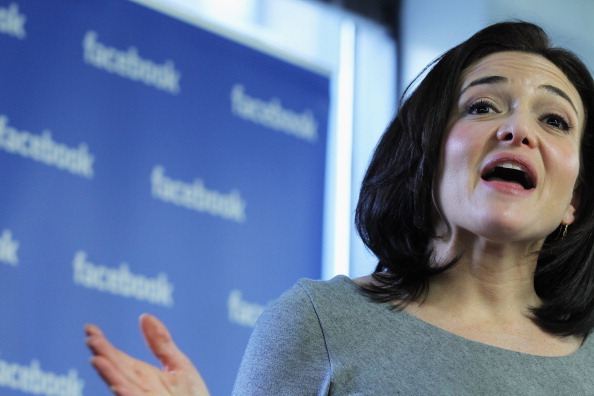 For Sandberg, the book is a great reflection of her experience as a leader. Prior to her start at the social network giant, she served as the Vice President of Global Online Sales and Operations at Google and was involved in launching Google’s philanthropic arm, Google.com. Even before that, she became distinguished in her career serving as the chief of staff for then-US Treasury Secretary Larry Summers leading the charge to help solve the Asian financial crisis. Her book Lean In will offer advice to women on how they can succeed in their roles and not be locked down by any artificial barrier. As the Hollywood Reporter notes, Sandberg argues that true equality in the workplace still eludes women today — hopefully Sandberg’s achievements and success will prove to be anything but an outlier and will motivate women to find personal fulfillment. I wrote Lean In so women can make more informed choices and increase their changes of making it to the top of any field or pursue any goal with gusto. And I wrote it for men who want to understand the challenges women face so they can do their part to build an equal world. Lean In: Women, Work, and the Will to Lead is scheduled to go on sale on March 12, 2013.